I gave eight pages (the whole file has more than 70 pages)to a professional transcripter. The above image shows the first page of a certified copy of a sales contract. 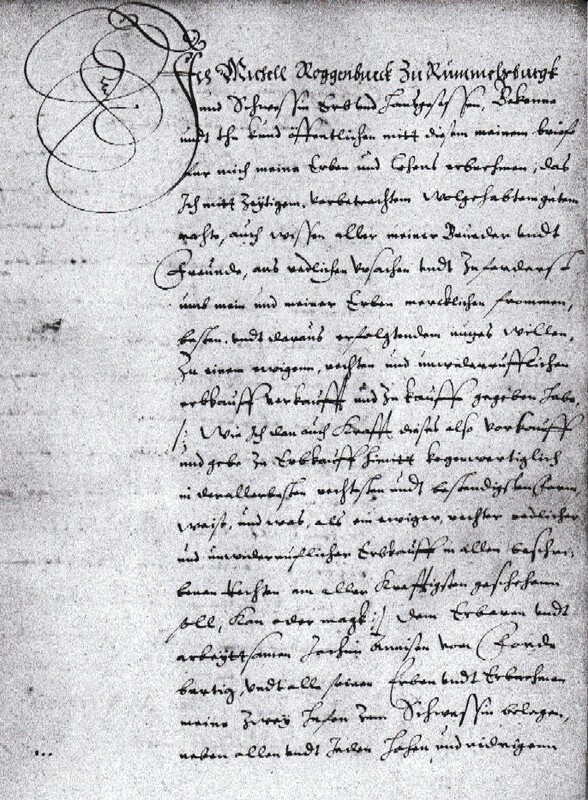 The contract was made in 1604 and the copy was made in 1616. Michael Roggenbuck and his brothers Hans, Joachim Daniel and Josua are selling 2 Hufen (1 Hufe is approx. 41.5 acres) of land near Schwessin. The buyer is Joachim Annissen.